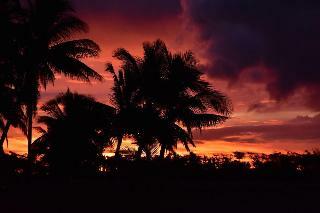 Find huge deals in Viti Levu, Fiji that you may book now & pay later! 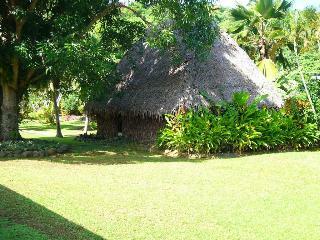 Best prices for in Viti Levu, Fiji. A dream vacation for you and your family, guaranteed by our travel consultants. 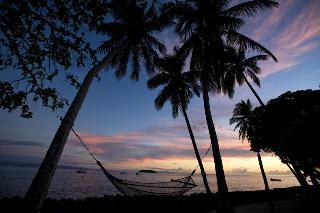 For members-only deals, we recommend using the new filter for deals in Viti Levu, Fiji. Welcome to the world of Westin luxury in the South Pacific. A place where five star comfort harmonizes with lush tropical surroundings and international style fuses with Fijian island warmth. 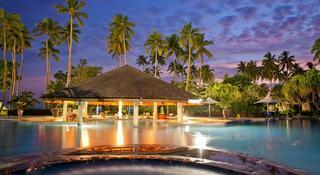 Located on Denarau Island, the resort is stylishly designed to reflect Fiji's rich cultural heritage and local style. It is further complimented with the finest resort facilities, including the award winning Heavenly Spa by Westin. 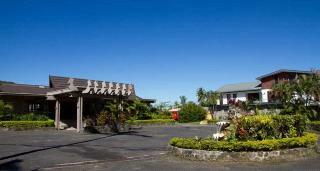 The Tanoa International Hotel has 148 well appointed guest rooms and is three mintues away from the Airport. There are 98 Superior Rooms, 46 Executive Rooms, 2 Executive Suites and 2 Deluxe Suites in total. 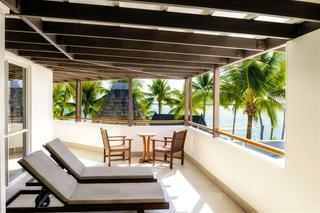 All rooms have private balconies or patios. Mini bars may be supplied upon request. 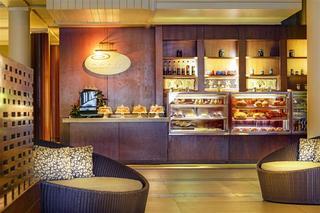 There is a food & beverage services provided 24 hours and a Mint Cafe which opens daily from 6am-8pm. 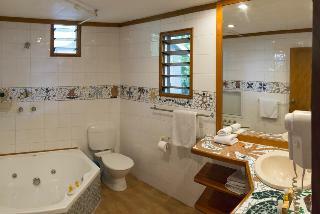 The Tanoa Skylodge Hotel has 42 well appointed guest rooms and is ten mintues away from the Airport. There are 14 Standard Rooms, 24 Superior Rooms, 2 Family Rooms in total. All rooms have individual air conditioning and all the guest services and amenities to suit both the busy executive and the leisure traveller exploring Fiji. Mini bars may be supplied upon request. 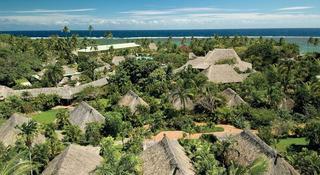 Everything about Fiji Beach Resort & Spa, managed by Hilton, oozes effortless luxury. 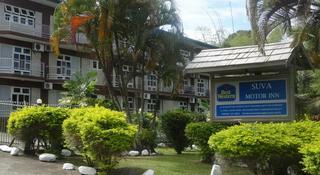 The Tanoa Waterfront Hotel has 92 well appointed guest rooms and is forty mintues away from the Airport. 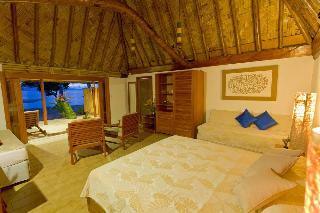 There are 46 Superior Rooms, 40 Executive Rooms, 4 Suites in total. 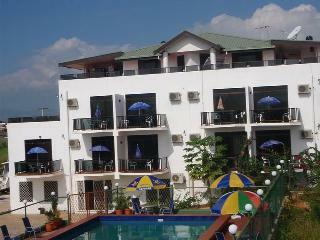 The hotel is situated in Lautoka City, overlooking the ocean. 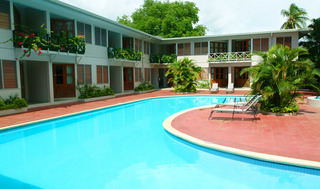 An efficient, friendly and relaxed atmosphere surrounds the property for both corporate and leisure travellers. 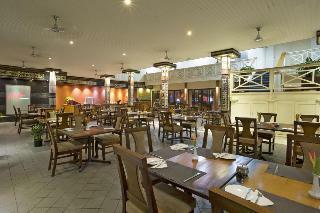 Best Western Suva Motor Inn is located in the heart of Suva City, the capital of the Fiji Islands. 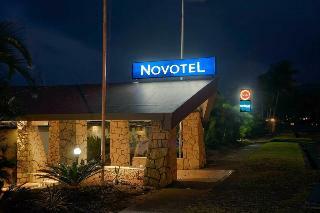 It is a 3 hour drive from Nadi International Airport. Alternatively, you could take the 45 minute flight from Nadi to Nausori Airport and then a scenic 40 minute drive to the hotel. 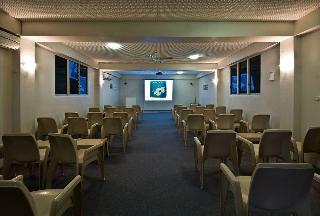 Best Western Suva Motor Inn is set within walking distance of the central business district and close to the Government Buildings and the Fiji Museum. Featuring a range of accommodation from affordable Bures to luxury, private Villas and Apartments, First Landing is an excellent choice for both honeymooners and families. The resort is set on the white sands of Nalamu Beach at Vuda Point and looks across Nadi Bay towards the famous Mamanuca Islands. Located 15 minutes from Nadi International Airport at historic Vuda Point, this is where the legendary first landing by the indigenous Fijians was made. 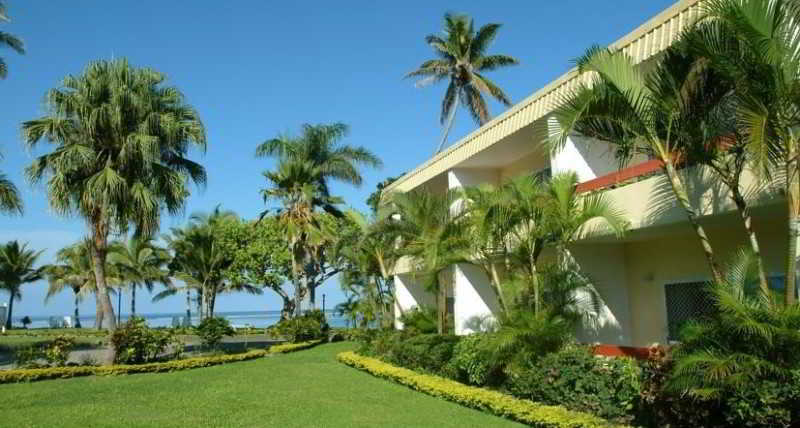 Smugglers Cove Beach Resort & Hotel is a brand new beachfront resort centrally located on the beach at Nadi & a comfortable 10 minute drive from the International Airport & Nadi Town. 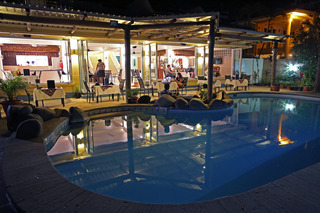 If you want to rock up to your resort, be greeted by friendly local staff, throw your bags down in a clean safe room, walk out the door and find yourself on the famous 2 mile long Wailoaloa Beach then Smugglers Cove Beach Resort & Hotel might just be the right choice for you! 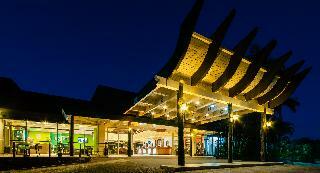 There is so much to do at Nadi Bay Resort Hotel. It's the perfect base for an affordable stay leaving you with money to spend on exploring the true white sandy beaches and blue water lagoons of the nearby islands. 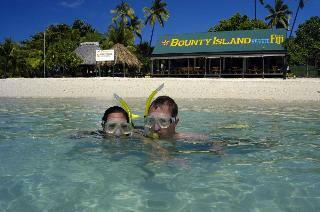 For the adventurous we can organise tours and activities that will drive the folks back home wild with envy. Hidden in a small bay, surrounded by a white sandy beach, coconut palms and rain forest, Dolphin Bay Divers Retreat is a short 20 minute boat ride from Taveuni, the garden island. It is 10 minutes away from one of the top ten dive destinations in the world - the famous Rainbow Reef and it boasts over 20 dive sites. Snorkel or swim with the turtles, trek up the mountain. Koro Sun Resort & Rainforest Spa's rural and pristine location offers you the genuine warmth and friendliness of the Fijian people. 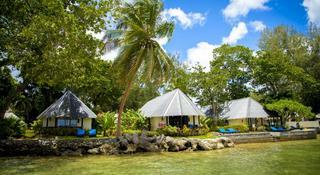 It offers a truly native Fijian experience, dedicated to adventure, rejuvenation and romance. The enchanting bures and luxury villas are private, exclusive, air-conditioned and offer vivid views of the ocean and reefs beyond. From the meticulous attention you receive from the wonderful staff to the spetacular lush grounds, Fiji is yours to discover.